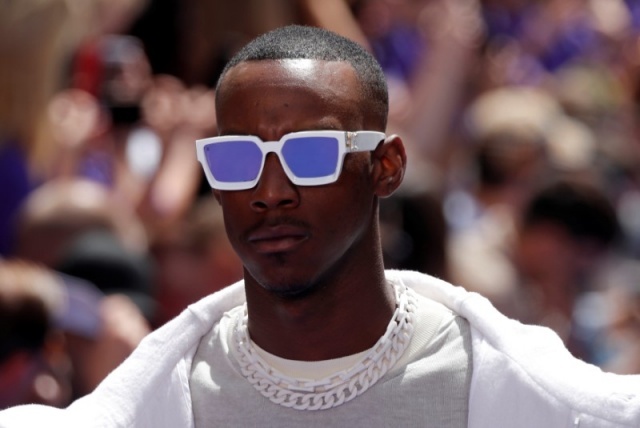 The show, where models in arrays of all-white outfits or tie-dye prints walked between tree-lined avenues, drew celebrities from hip-hop’s Kanye West to singer Rihanna in the front row, while rapper Kid Cudi even took to the runway. 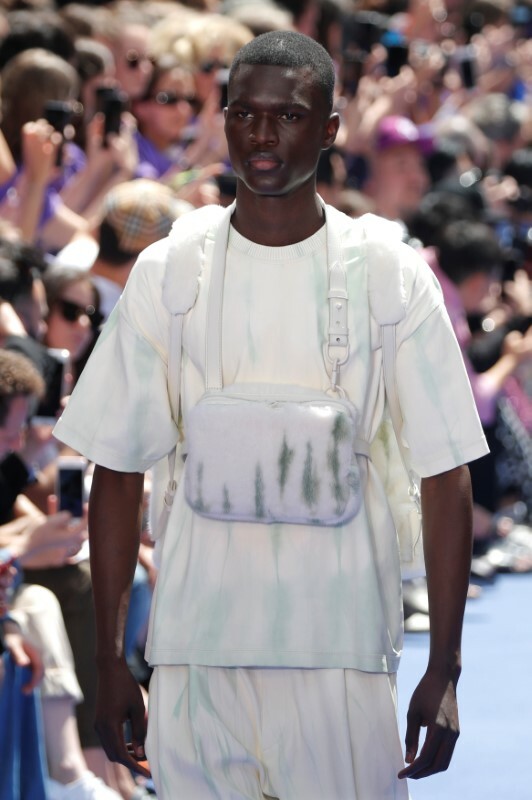 Abloh, an American whose own label Off-White is known for its luxury urban creations such as branded hoodies, was appointed to the Vuitton job in March. 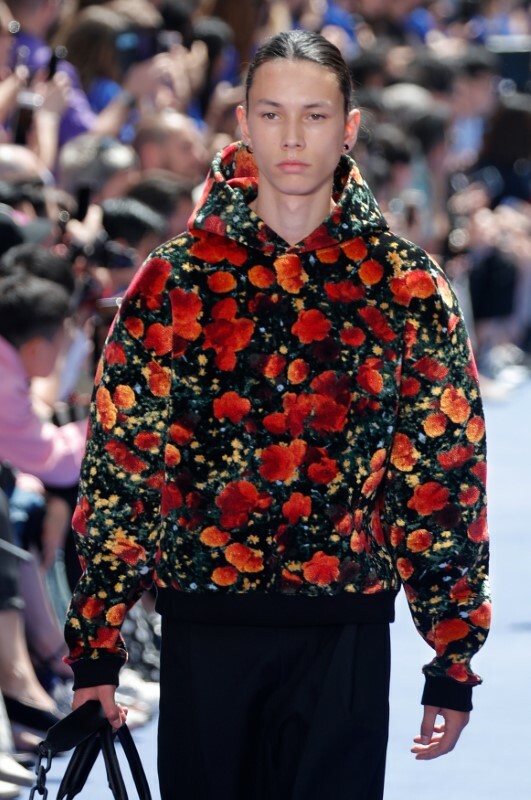 He replaced Kim Jones, who moved to design menswear at Christian Dior – also one of the large roster of brands owned by France’s LVMH, at a time of upheaval for men’s designs as sales pick up in an industry long dominated by womenswear. 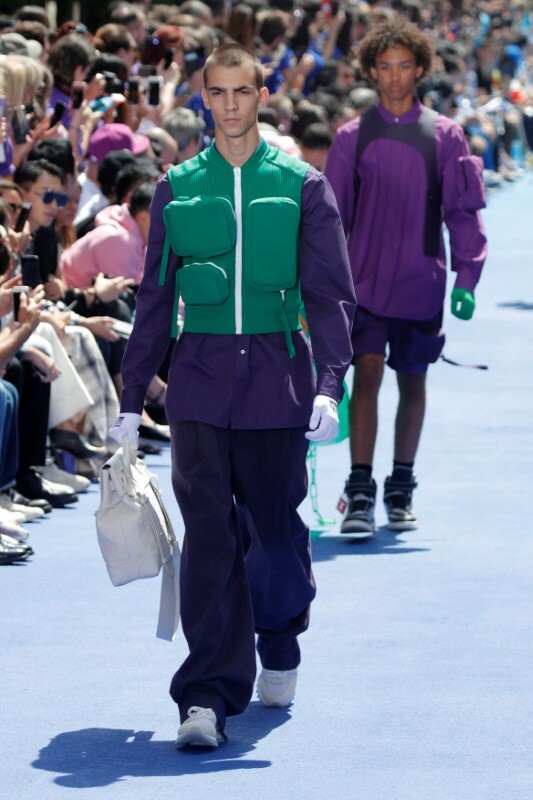 A lurch toward streetwear looks – including the ubiquity of sneakers, which all top luxury brands are now embracing – has helped growth in the category. 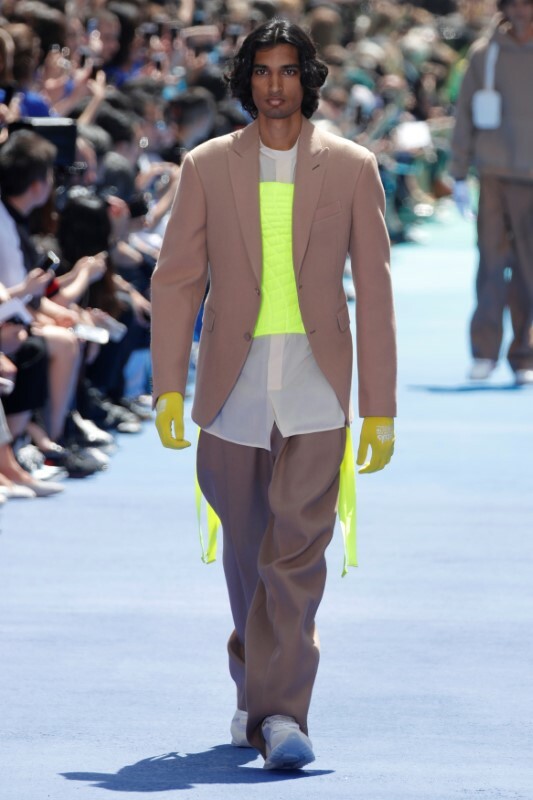 Abloh surprised with less of an emphasis on logos and urban looks than some expected, opting for carefully tailored-suit jackets in block colors, including bold reds or beige. 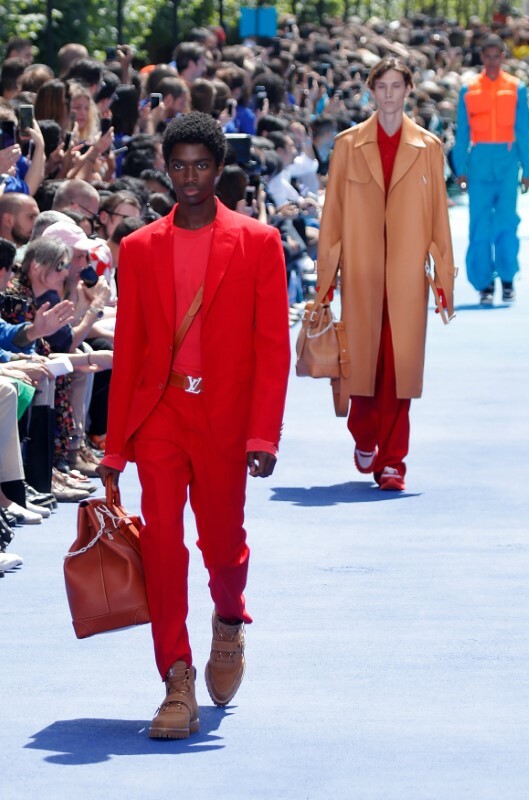 “He respected the codes and the heritage of Louis Vuitton, which is very important for a house of this nature, but he infused his own sensibility and his own DNA into what we saw,” said Roopal Patel, fashion director of department store Saks Fifth Avenue. 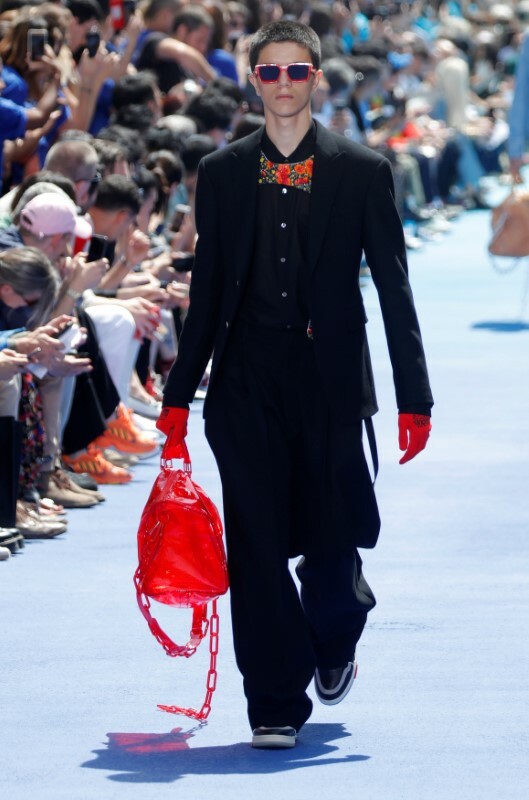 The designer also put the accent on accessories – one of the mainstays of Vuitton, originally a luggage maker – with holster-style leather vests worn over the shoulders, and classic bags offset by edgy, fluorescent chains hanging from the handles. The collection kicked off with all-white styles before evolving into colors. Some looks included bead-incrusted jackets with a motif drawn from 1939 movie The Wizard of Oz and featuring its heroine Dorothy, who is transported in the film into a color-infused dream world from her black-and-white life. 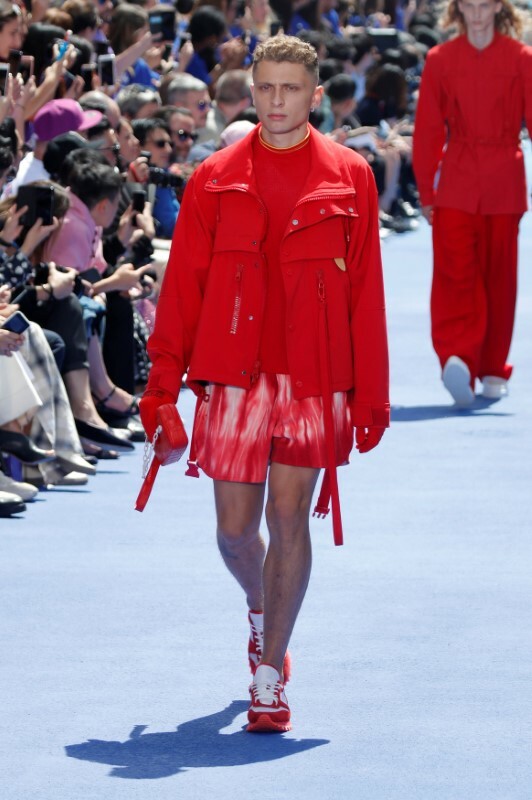 The kaleidoscope effect was also present on the edges of the catwalk, with 3,000 fashion students and Vuitton workers wearing colored T-shirts flanking the runway. 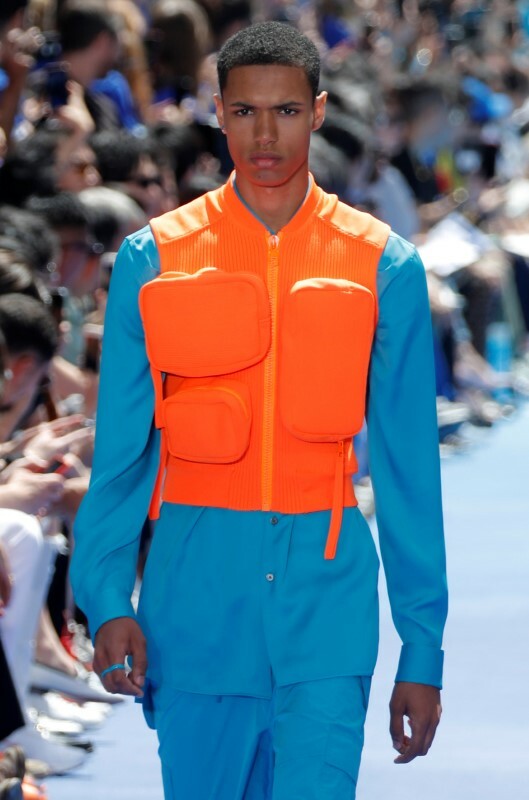 Paris Men’s Fashion Week runs until June 24. Keep reading (more images ahead) ….